As anticipated, the pro-legalization organization ReformCA has delivered an initiative to California Secretary of State Kamala Harris that would put cannabis legalization to a statewide vote in 2016. In a statement from ReformCA member Dale Skye Jones released Monday, the organization notes that it left no leaf unturned as it sought to push out an initiative that would have the greatest chance of mass voter approval. "We believe this effort has the most statewide input and consensus," writes Jones, "and thus the greatest likelihood of succeeding on the 2016 ballot." The organization says it worked with everyone from the California NAACP to the organization Law Enforcement Against Prohibition, along with a host of medical and environmental groups that have a stake in a legal-weed outcome. The way this works is the initiative is filed with Harris, who approves or doesn't approve it. If approved, the organization has to collect at least 350,000 signatures to get the initiative on the ballot. Jones previously told the Bohemian the campaign would cost as much as $20 million, with much of the money going for advertising to sell the initiative to the state's 38 million residents. 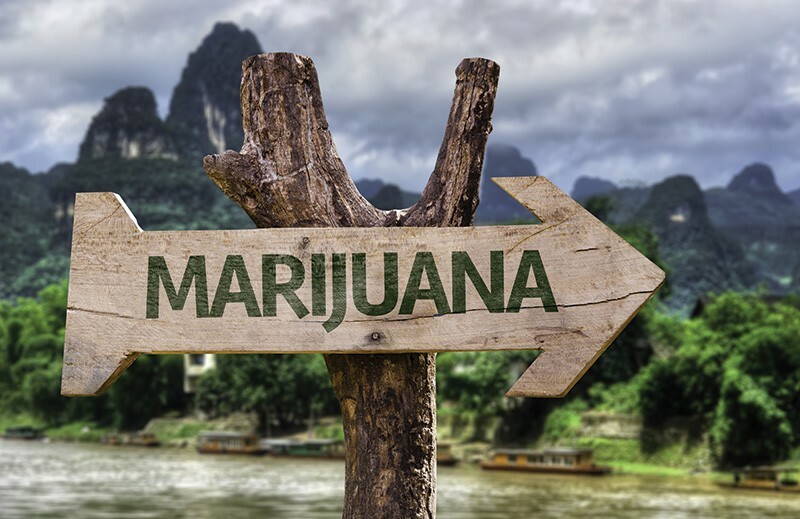 A report on Alternet this week noted that ReformCA expects to nab support from the Drug Policy Alliance and the Marijuana Policy Project—both of which are considered a key to get the money and signatures flowing. Jones previously said the group would wait for the much-anticipated report from the Blue Ribbon Commission on Marijuana Policy, headed by Lt. Gov. Gavin Newsom, before launching its initiative.The idea was to sync ReformCA's initiative with the Newsom study, which came out this summer and more or less said: If you are going to legalize cannabis in California, here's how to do it. Newsom has said he supports cannabis legalization if "it's done right." The Blue Ribbon Commission took a somewhat fuddy-duddy approach to the idea that the most populous state in the country might soon go legal: Newsom and his committee emphasized public safety, youth access concerns and taxation along the way to setting a template for an eventual state cannabis law. The ReformCA initiative is being offered to voters as the Control, Regulate and Tax Cannabis Act of 2016. The organization really went out of its way to not offer a slap-happy legalization initiative whereby everybody must get stoned. ReformCA submitted its policy positions to the law firm of Manatt, Phelps and Phillips, which then created a policy document on behalf of ReformCA. The language "falls within the guidelines of the Blue Ribbon Commission's report, while complementing the historic actions of the California Legislature," Jones writes. The latter reference is to a trio of bills passed at the end of the legislative session this year that puts the state medical cannabis regime under one set of state law and guidelines, finally. The state first passed its medical cannabis bill in 1996 but took almost 20 years to codify it under one set of state rules. Last month, we interviewed Chula Vista police chief and head of the California Police Chiefs Association David Bejarano ("Last Days of Prohibition," Sept. 23), who said that, while his organization opposes legalization as a matter of principle, if the state does go legal he hopes it doesn't take 20 years to get its legal-weed act together.